Posted on November 23, 2012 at 4:32:15 am by Lauren C.
Come out to see one of Fort Wayne&apos;s historic neighborhoods in a new and different light. 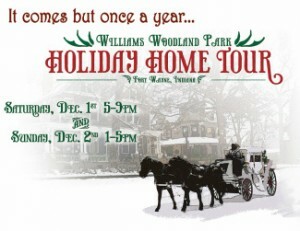 The Williams Woodland Park 2012 Holiday Home Tour, Dec. 1-2, welcomes visitors to take in the beauty of this area&apos;s architecture. According to their website, the Williams Woodland Park Local Historic District was originally established in 1985. This area is located roughly between Calhoun to Fairfield, and Creighton to Pontiac. A slightly modified area was listed on the National Register in 1991. The district is considered significant as an early example of a planned residential development in Fort Wayne, as an intact collection of outstanding late-19th/early-20th century domestic architecture, and for its association with many prominent Fort Wayne citizens. The tour will feature seven neighborhood homes, as well as two apartments in Fairfield Manor apartment building and the Center for Nonviolence. 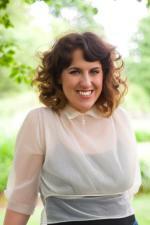 The Center will host a traditional English tearoom with readings from works by Charles Dickens. The tour runs Saturday 5-9 pm and Sunday 1-5 pm. Advance tickets are $10 for individuals and $36 for groups of four. You can purchase them the day of the tour at Simpson United Methodist Church, 2501 S. Harrison St.) for $12 tickets for individuals. Children 10 and under receive free admission, so make it a family affair. Contact the Holiday Home Tour Committee for more information. Remember to bundle up!